Dash the Mint Fairy looked around Peppermint Grove. The bright morning light made her mint candy crop sparkle. Each mint was superwhite and just right for picking. She grabbed her harvest basket and started her work. Doopie’s happy squeak made Dash laugh. Picking mints from the mint bushes wasn’t an easy task. Dash had to reach in under branches to get the best ones. At times like these, she was happy to be a small Candy Fairy. Dash held up one of the larger mints. She slipped it into her bag. Secretly, she had been painting mints with her new set of white-chocolate paints. She had just started doing this kind of artwork, and she loved it! During the Sugar Cup Games, an event that was happening in Candy Kingdom soon, decorating candy was one of the five events. 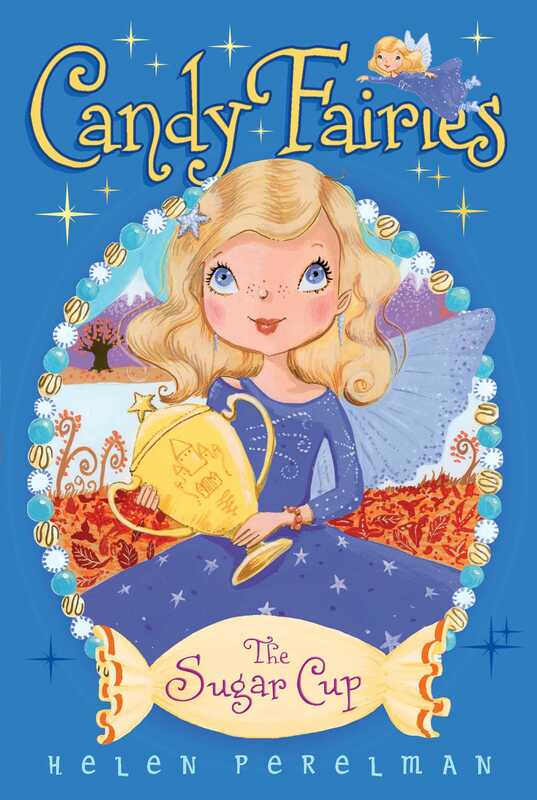 The annual competition among fairies in Sugar Kingdom, Candy Kingdom, Cake Kingdom, and Ice Cream Isles was an exciting time. Cocoa, Dash’s Chocolate Fairy friend, had competed in the Art Treat event last year. But this year Dash really wanted to enter. When Dash had a full basket of mints, she headed to Chocolate River. She was meeting Cocoa for chocolate dipping. Nothing was more delicious than a mint freshly dipped in chocolate! Dash was planning on talking to Cocoa about the Art Treat event. She just wasn’t sure how to tell Cocoa. All her friends knew Dash loved to eat mints, but they didn’t know how much she loved to decorate them! She loved the bold, bright colors swirling around and the messy, minty masterpieces she created. For the past four years, Cake Kingdom, which was ruled by Princess Lolli’s sister, Princess Sprinkle, had been the winning kingdom. The kingdom that won brought home a golden trophy called the Sugar Cup. Princess Lolli’s parents, King Crunch and Queen Sweetie, were the judges, along with other noble fairies. They would score the events and tally the scores. “Huh,” Dash said. She wanted to blurt out her wish to Cocoa, but she couldn’t! Cocoa strung a mint on her stick and dipped the candy in Chocolate River. Dash fluttered her wings. Now would be a good time to tell Cocoa. “Do you think we’ll be assigned different events from last year?” she asked. Her stomach did a tiny flip-flop. “I did,” Cocoa said, not looking at Dash. Dash had a feeling that Cocoa wasn’t telling her something.